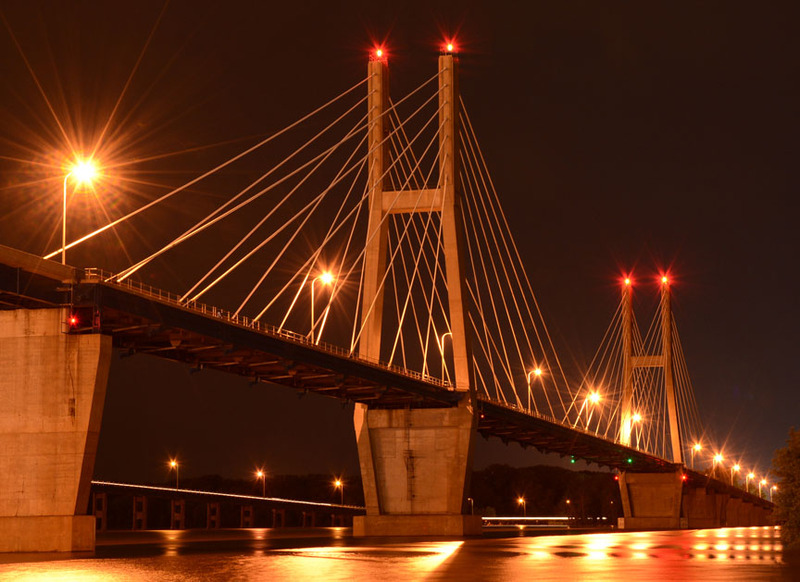 Richard Strange shares his techniques on how to take better night photographs. Let me start with a short discussion on lightning and safety. Always make sure that you are photographing in a safe manner. I can not overemphasize safety concerns during this type of photography and to exit before the lightning reaches you. Storms will roll across different parts of the country in predictable patterns. 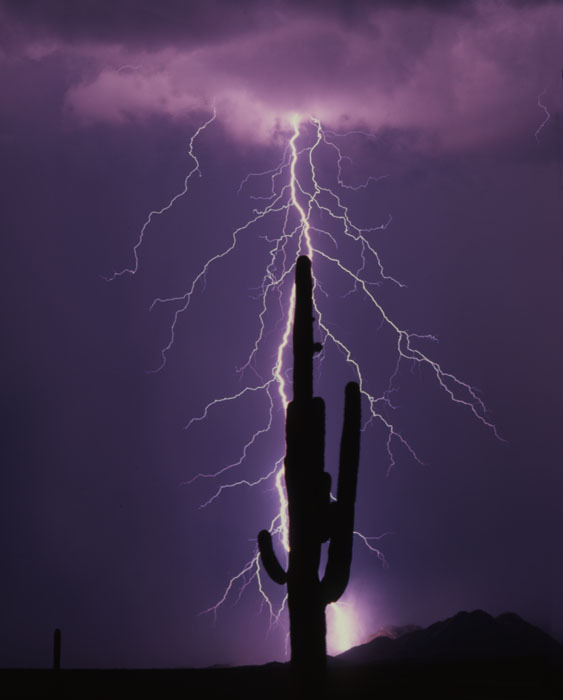 In Arizona and the Southwestern Deserts we have summer monsoon storms that generally come from the South-Southeast and can sometimes be fairly predictable for two to three weeks. Our Pacific Storms come across from West to East, are fewer in nature, and are less predictable as far as recurring lightning strikes. The warmer storms in the summer offer greater opportunities for good lightning. If you can find a spacious place ahead of the storm, explore a couple of areas where you have cactus, dead trees, windmills, or landforms that present the flexibility to vary your angle of shooting with something interesting in the foreground. The idea is that in a good lightning storm you will have somewhat of a frequency between strikes. Set up your camera on a tripod with your image framed based on where you are seeing the lightning. I generally will start with a telephoto and change focal-lengths and vary my location as it moves closer. Set your camera to take 30 second exposures or use the Bulb setting and keep the shutter open manually. Use 100 as your ISO setting. Your F-stop should be in the mid-range as you don�t want to burn out the image, especially if you get multiple strikes. Count the minutes and/or seconds between a few strikes. Try to determine a frequency of the strikes if possible and open the shutter a few seconds before you expect the next strike. This is a hit and miss exercise and you may shoot dozens of images in hope of getting a single good image. Some will be totally dark and sometimes the lightning may be intense enough to burn out the image. Be patient and make adjustments to your settings if the ambient light makes it necessary. During intense storms, you may often have a double strike at or near the same location a second or two later. Be ready for these if they are occurring. I used to waste a lot of film doing this, so it�s much less expensive with digital photography. 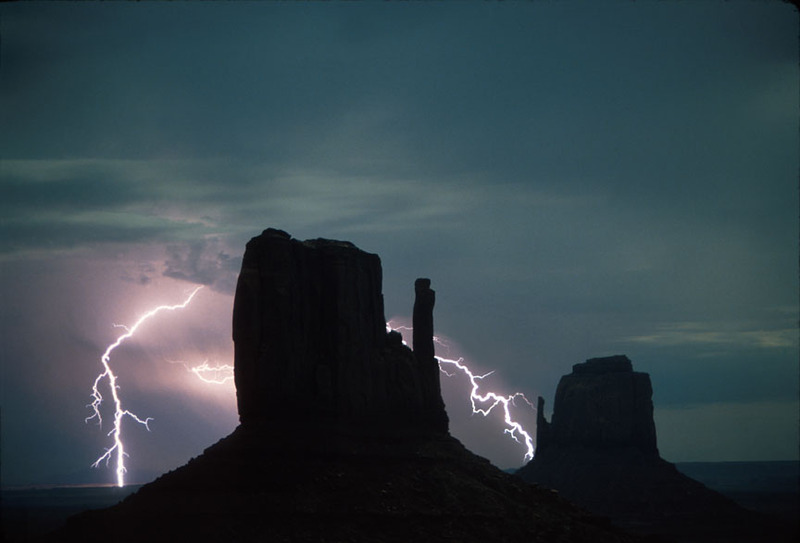 Both the Cactus Image and the one from Monument Valley were done on film. There are lightning sensors available for those who want to spend the money. 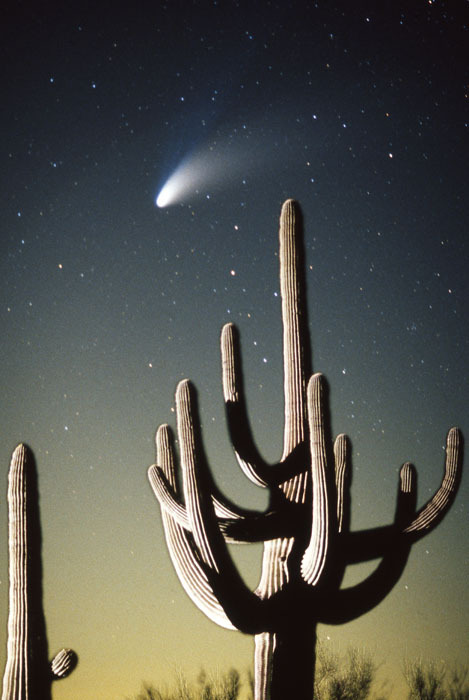 When I photographed the Hale Bopp Comet, I made four trips to the deserts in the middle of the night before I got images I liked. 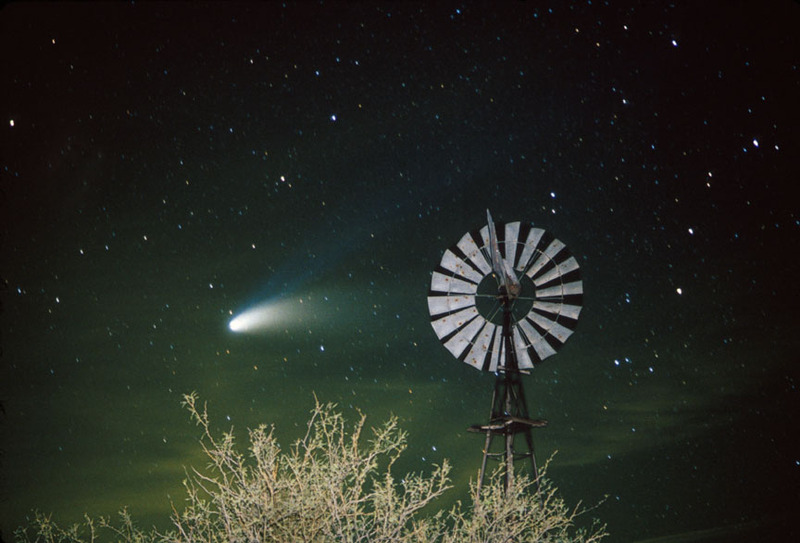 I quickly learned, listening to some Astro-photography experts, how to get an image of the comet - but I wanted an image with the comet IN IT. This meant that I needed to get a bit more creative. I had an 800 ASA film I found, pushed it two full stops, and did some 20 to 25 second time-exposures. I ran out beside the Saguaro and set off the Flash during the exposure. 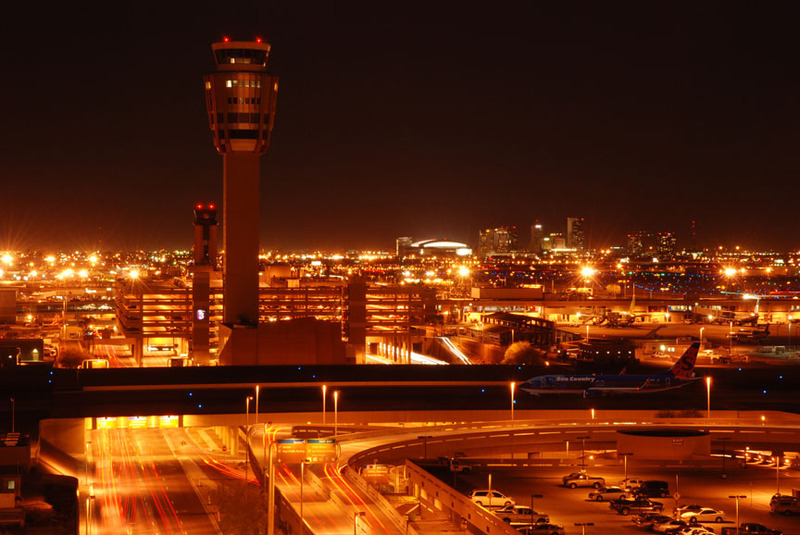 Contrary to the published methods advising to shoot against totally dark skies, I didn�t get what I wanted until shooting towards Phoenix from about 60 miles using the ambient light from the City in the atmosphere. The Image sold for $25,000. The higher ISO settings on the current digital cameras will allow for shorter exposures and more control. You will be able to get immediate results to determine how to improve your setting for the desired result. 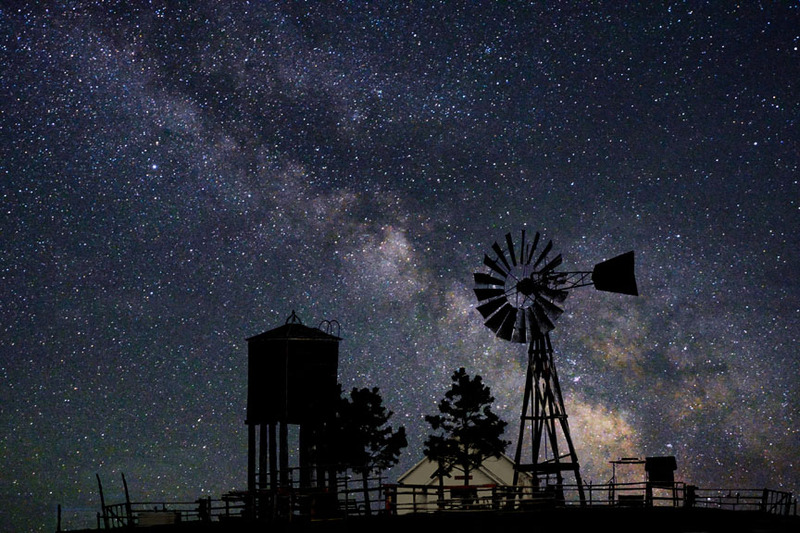 As far as Milky Way images, start by going East of city lights on a moonless night until you are past the light influence (we have big skies out West you know). Set your camera on the highest ISO setting you have with your lowest f-stop and focused on Infinity. Use a wide angle for this. Take the same shot at 5 seconds, 10 seconds, 15 seconds and 20 seconds. 15 or 20 seconds will be where you will start seeing drifts or star streaks, but will give the most detail unless you have a very good lens, say 1.2 or 1.4. Do all these with the same mm, possibly 24 or 35 or whatever gives the coverage you are looking for. Do the same exercise with the ISO stepped down one setting, and then again stepping down one more. In this series you will have a baseline of settings to store. You can always reproduce this circumstance if you have a dramatic foreground or silhouette you want to include. This will give you a head start and provide the background knowledge to know what sort of bracketing to use when you attempt a serious shot. You can also drop them in behind a silhouette if you pull off another Image that you like. Dead trees and windmills would be good for these experiments. When you are out cruising about, look for subject matter you may want to frame in one of these images. Night painting with flashlights or spotlights can also be a lot of fun and allow you a bit more artistic license. Lastly, take the best couple of shots and open them in Photoshop and increase the contrast to your liking. The additional noise from the high ISO may enhance the image and simulate additional stars rather than look like noise. The contrast can improve this illusion. It�s a good experiment for these types of images. 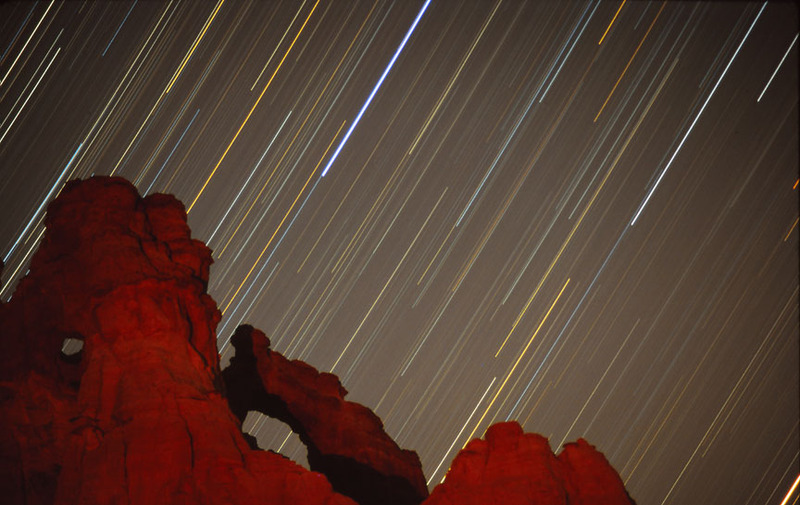 To get good images of star streaks I used to do 20, 30 and 40 minute exposures, the shorter with 200 ASA film and the 40 with 25 ASA films opening the lens all the way. Times will be influenced by ambient light or if there is a moon in the sky. Always bracket so that you will at least bring back something. There are current techniques available in Lightroom using multiple images and blending them, but I am not one for a lot of post-processing so look for those in another source. Controlled experiments with time and ISO settings with a totally dark sky will give you a baseline to start with. I would suggest 100 ISO at 20 and 30 minutes, with your aperture all the way open, then look at your result and adjust your time and ISO from there. Don�t hesitate to experiment and I�m sure you will be happy with some of your results. Me, I�ll probably be sleeping as I am usually looking to get up before dawn for sunrises and wildlife. The last experiments I will mention are probably the easiest. Architectural images will generally be pretty good using the automatic features on your camera. Use a mid range f stop and your timer and let the camera work for you. You might want to overexpose by 2/3 stop and underexpose by 2/3 stop and see which you like the best. Some images will be better over exposed to provide a little more detail in the darker areas. 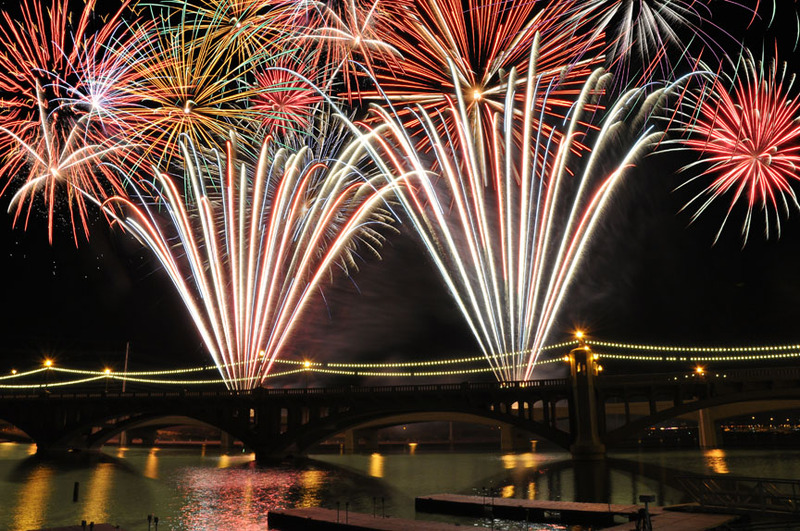 The last is having fun with fireworks. Set your ISO at 100, your f stop at f8, and let two or three bursts fill your frame. Look at your result and adjust as needed. These are fun. I have added a couple of extra flashes to this image to balance out the overall appearance for an advertising brochure. Oh my! I almost forgot the Blood Moon. The important thing here is to make certain you have your speed fast enough that the Earth's rotation doesn't blur the Moom. I prefer 1/125 but 1/60 will do. As you get less Moon you will have less light so it is important to take multiple images at different ISO's to assure you are getting something good. The spiral is just for the sake of fitting the sequence into the frame. 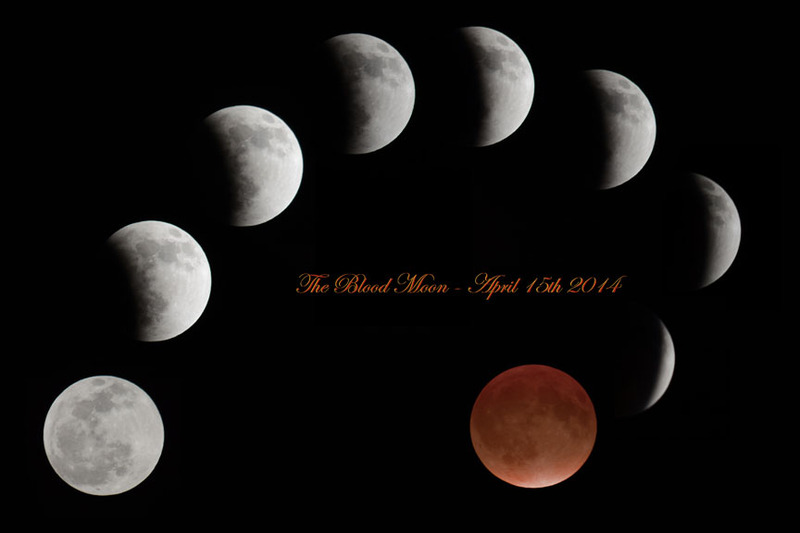 The Blood Moon - April 15th, 2013. 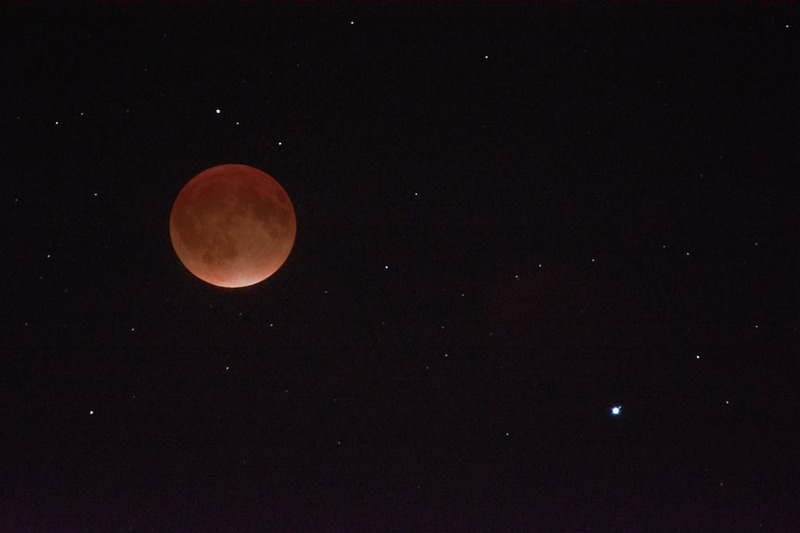 The Blood Moon with the Stars took a little extra work to reproduce what I was actually seeing. I combined the best Moon Image with the best Star image to get my final product. These types of images are both fun and challenging, but this is not one of the types of photography I claim to be very knowledgeable about. This is an area where I experiment and have a lot of fun. And sometimes I get really lucky. About Richard Strange Photography: Richard Strange is a self-taught nature and landscape photographer who prides himself with being more of an artist than a photographer. 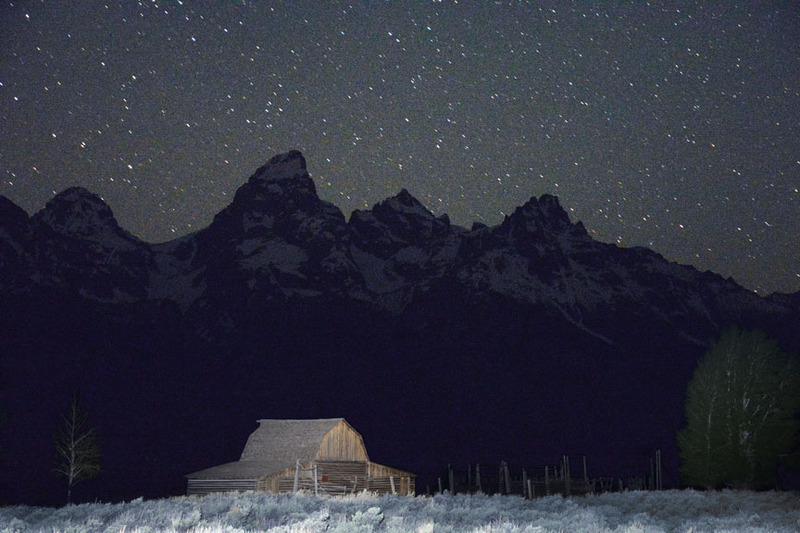 He has lectured and conducted photographic workshops in both Arizona and the Alaskan wilderness. His primary concentration is Western National Parks and his Arizona home where the diversity of the lower Sonoran Desert to the Alpine mountaintops provides him with unlimited opportunities. 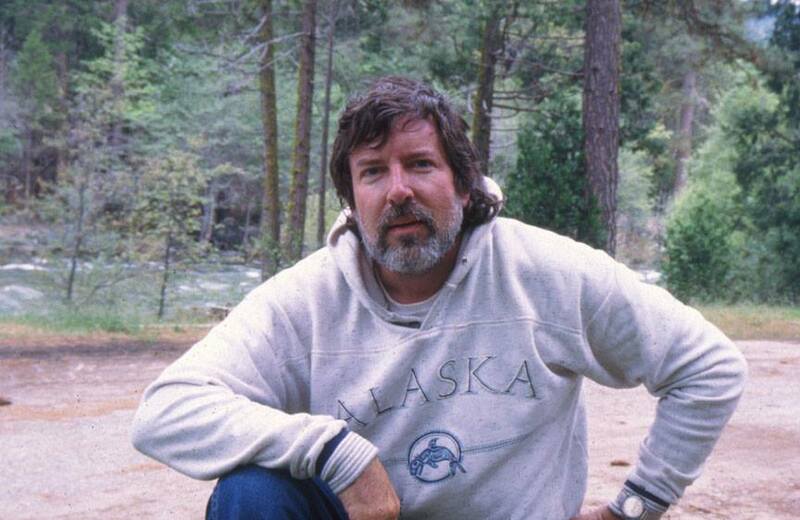 He has published four books and his images have been featured in several hundred postcards, calendars, books and magazines including LIFE, Sierra, Outside, Arizona Highways, Sunset, Golf Digest, House & Garden, America West, Engineering News Record and he often donates his photography to Government Agencies and National Parks. Rich's website is www.richpics.biz but he prefer people friend him and like the photos on Facebook! Just a friendly reminder that this article was written by Richard Strange for James Morrissey the NWP Photo Forum. The article is copyright 2015, Richard Strange. All Photos are used with permission, and are also copyrighted by Richard Strange. The material has been licensed to James Morrissey and NWP for the purpose of this article.